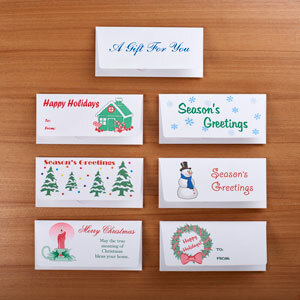 and outside currency in a variety of holiday designs. Or we can print your custom copy. Please call or fax for a price quotation.